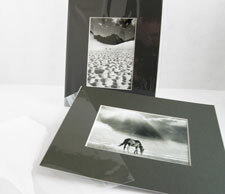 These high quality, clear plastic bags are an excellent way to present a package of mats, images, and backings. Thicker than shrink wrap material, they withstand punishment and will not warp due to varying humidity changes. We offer bags individually or in packages of 100 for added savings.